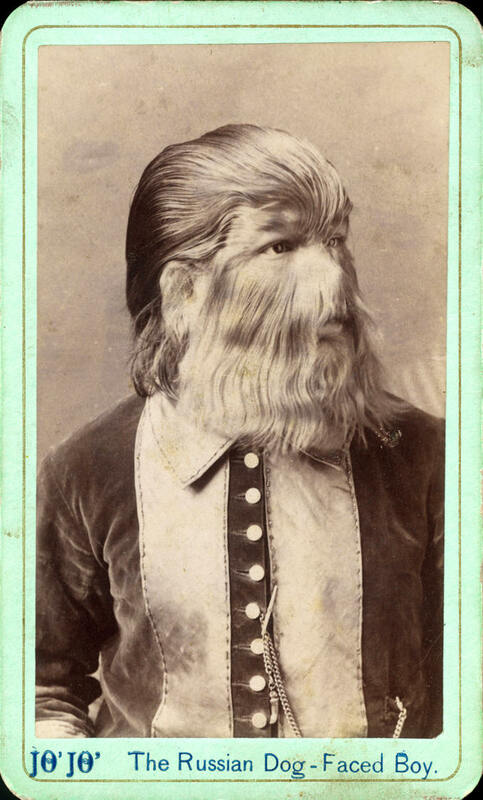 Fedor Jeftichew (pronounced something like Yeftichev) was first exhibited as a small boy with his equally hairy father, Adrien Konstantinov Jeftichew, in Paris in 1873. Known as "The Dog of the Caucasus" or "The Siberian Dog-Man", Adrien was a superstitious Russian peasant from the environs of St. Petersburg. He believed that he and little Fedor were the victims of a divine punishment, and spent the considerable fortune they earned on prayers to be said after their deaths. For Adrien, death came relatively soon, at the age of 59. After Adrien's death, Fedor became a ward of the Russian government, who appointed a man named Nicholas Forster as his guardian. The boy, sixteen years old at the time, was five feet, eight inches tall and covered with long, silky, fur-like hair that grew thickest on his face. He had just five teeth in his whole mouth. 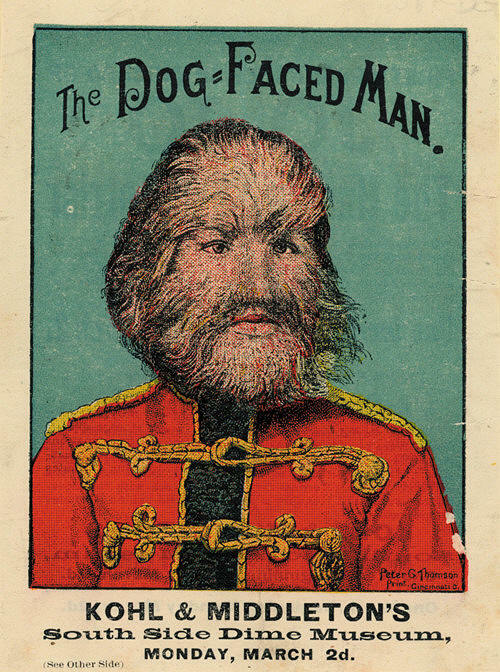 He was bright, inquisitive, and hardly the animal-like savage his hairy appearance suggested. Forster took Fedor to England, where he was exhibited by a showman named Charles Reynolds. Reynolds advertised the boy as having been raised by wolves in the wilderness of Siberia. P.T. Barnum eventually heard of this extraordinary European freak and brought him to the United States in 1884 to appear in his Barnum and London Circus, accompanied by his guardian Nicholas Forster and Forster's wife. Barnum felt the dog-boy's story needed even more embellishment. In his version, a hunter glimpsed the hairy father and child in the forests of Kostroma, in central Russia, and decided to follow them. They led him back to the cave they called home, where they lived on roots and berries and hunted small animals with clubs. In other words, they were a perfect modern approximation of Victorian naturalists' then-brand-new – and controversial - notion of prehistoric man. The astonished hunter gathered a band of men, with the intent of capturing these bizarre quasi-humans. 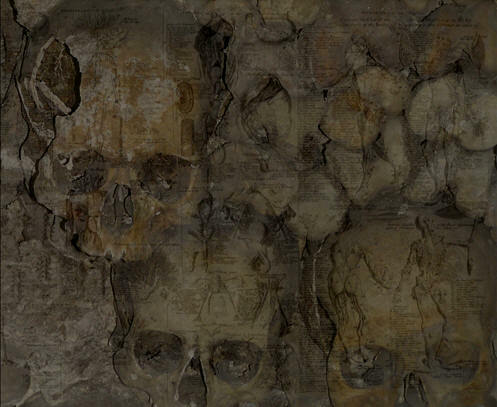 They ambushed Adrien and Fedor in their cave and an epic struggle ensued, in which several men were killed. Adrien fought fiercely, but little Fedor accepted the hunters' net with resignation, as he was young enough to be "domesticated". With some effort on the part of leading scientists he learned to walk upright, wear clothes and even speak three languages – Russian, German, and a little English. Adrien, on the other hand, like so many animals taken from the wild, languished in a cage for some weeks and ultimately died. "Jo-Jo", as Barnum christened young Fedor, was typically presented in a Russian cavalry uniform, complete with rifle. He delighted in practicing his English with museum-goers and in signing autographs with beautiful penmanship. However, he soon found that many spectators had come to see a savage-dog boy, not a refined gentleman with a hairy face, so he learned to oblige these patrons as well by growling, barking, and baring his few teeth. He was, in 1886, one of the highest-paid freaks in showbusiness, earning $500 a week (the equivalent of about $11,400!). Only Lucia Zarate, the world’s smallest woman, the the conjoined twins Millie and Christine McKoy earned more. Of course, Jo-Jo was still a minor, so his massive earnings - $300,000 by 1889! – were entirely entrusted to his management. 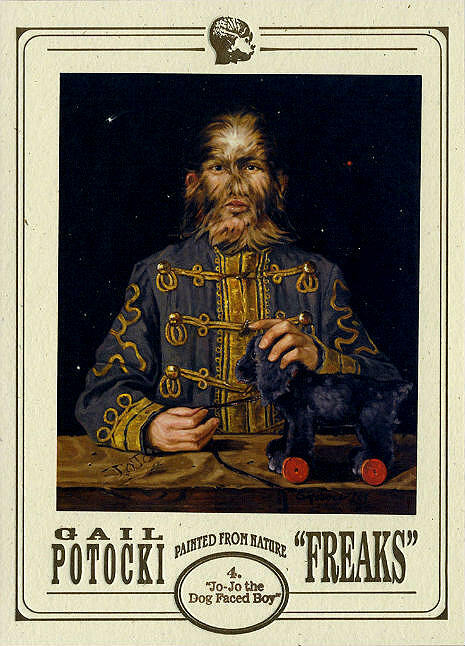 Jo-Jo's last known American booking was with Barnum and Bailey in 1901. He embarked on a European tour soon after, during which he fell ill with pneumonia while appearing in Turkey. He died on January 30, 1903.